Computer Troubleshooters is a leading provider of technology service solutions with unmatched customer service for both the business and residential client. 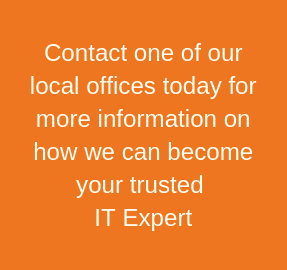 Please contact your local offices or visit one of the pages listed below for more information on how our local experts can help you get the most out of your technology. For general questions and inquiries please submit the form below. Business Services: We provide a full suite of innovative services and cutting-edge solutions that are customized to meet the specific needs of each client and to keep them ahead of their competition. Residential Services: Home technology needs are becoming more complex, and our technical experts are able to provide solutions that keep all of your devices connected and running at peak performance. Franchise Opportunities: We are looking to expand our footprint, by bringing on new franchise owners that are motivated and driven towards success. We offer a comprehensive business model to help you establish your own Computer Troubleshooters franchise location and build a successful computer services business. For International locations please click here.